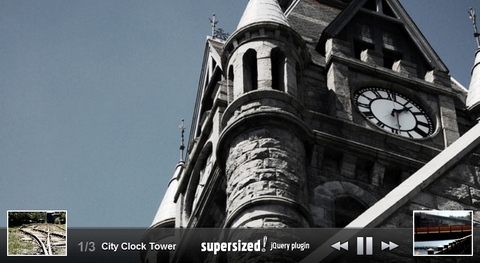 A while ago, we have featured Supersized, which is a Full Screen Background & Slideshow jQuery Plugin. Now, they are happy to announced Supersized 3.0. The ability of scrolling is added, so that you can have your site on top of Supersized. Increased performance for larger number of images. Images are now loaded from an array. And thumbnail navigation is also added for easy navigation. Your site has been a great help to get information real resource useful site.